New Advanced Lithium 18V Batteries from RIDGID® are the company’s next generation of power-tool battery technology, delivering improved performance and more benefits than their predecessors. Available in two sizes - 2.0 Ah and 4.0 Ah - the updated batteries provide short-circuit protection, over-current protection, over-discharge protection and cell balancing. These batteries also work in much hotter temperatures, ranging from as low as 29° F (-20° C) and up to 158° F (70°C), allowing users to continue working in the most demanding conditions and extreme temperatures. Outside of these temperatures, thermal protection shuts the battery down while over-discharge protection eliminates the trickle effect. “By offering the latest battery technologies in our next platform of 18V lithium-ion batteries, we are able to maximize tool uptime while simultaneously reducing battery size and weight,” said Christopher Burton, Global Marketing Manager for RIDGID. The 2.0 Ah battery, which comes standard with all RIDGID battery-powered Press Tools, can provide more than 200 presses per charge while the 4.0 Ah battery can deliver more than 400 presses per charge. Both batteries have a lifespan of 400-500 charges. Users will realize further performance upgrades in the new Advanced Lithium battery charger, which is backwards compatible with existing 18V batteries. Charge time is more than 50 percent quicker with Advanced Lithium batteries and chargers. Specifically, 30 minutes for the 2.0 Ah batteries and 45 minutes with the 4.0 Ah batteries. 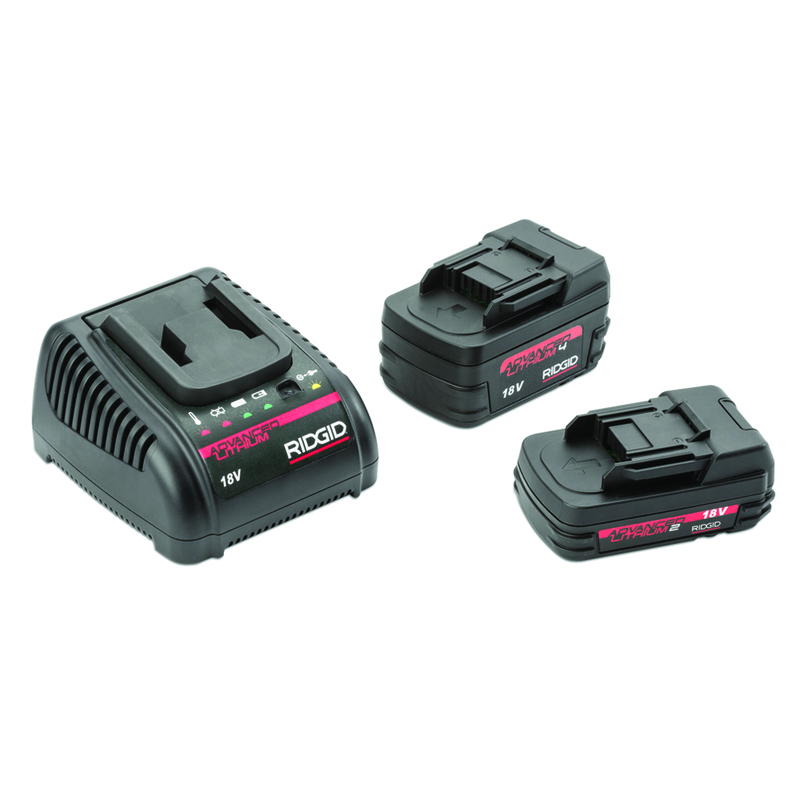 In addition to Press Tools, Advanced Lithium batteries are the company’s new standard battery offering for RIDGID SeekTech® underground utility locating devices.